The Kitchen and Bath Industry show is just around the corner and there are more and more goodies that I am looking forward to checking out for myself. 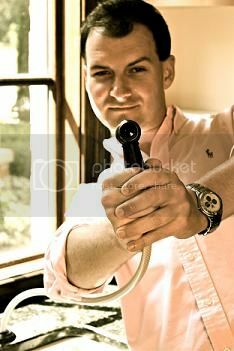 The ROHL Water Appliance solution(as they're pitching it) seems like a hokey way to pitch a new line of sink products until you really look at what they're trying to accomplish. 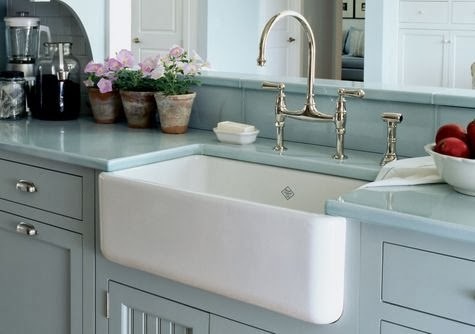 It's no secret that the ROHL line of sinks is impressive. Always sleek designs and easy installations make a ROHL easy to recommend. Upping the line though, ROHL is rolling out a set of coordinates like integrated disposer buttons, hot-water dispensers and water filtration systems to make the sink a little bit more than just a sink and a faucet. Now, integrating buttons and filtration is something that we've(the design world) been asking for and wishing for for a while. Since it appears that it's here, I'll make sure to give it a good once over. What do you think? Automation at the sink?